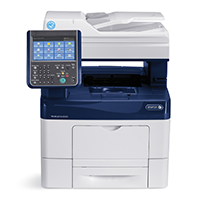 We purchase many brand-name used Canadian copiers for cash, Canon, Xerox, Ricoh, Konica Minolta, Toshiba, Sharp, Blueprint Printers, Blueprint Copiers, Savin Wide Format Printers, Savin Large Format Printers, Lanier Large Format Printers/Copiers, Lanier Wide Format Printers/Copiers, Océ Large Format Printers, Kip Large Format Printers, Used HP Designjet Large Format Printing, Used Kyocera Mita Copiers, Used Panasonic Copiers, Refurbished Xerox Large Format Used, Refurbished Ricoh Wide Format Copiers, Used Canon Large Format Printers/Copiers, Used Refurbished Engineering Printers, Used Kyocera Mita Wide Format Printers, Kyocera Mita Large Format Printers, Used Refurbished Canon Wide Format Printers, Kip Wide Format Printers, Used Océ Wide Format Printer, HP Designjet Wide Format Copiers, Used Ricoh Large Format Printers, Xerox Wide Format Printers, copy machines and Wide-Format & Commercial Printers, such as Toshiba, Ricoh, Canon, Sharp, Konica Minolta, Kyocera, Panasonic, and Used Copy Machines, Discount Copiers, Off-Lease Copiers, Digital Copiers, Office Copiers, Color Copiers, Black and White Copiers, Multifunction Printers, Wide-Format and Commercial Printers, Large Office Copy Machines, Used Canon Wide Format Copiers, Used HP Wide Format Copiers, Used KIP Wide Format Copiers, Used Lanier Wide Format Copiers, Used OCE Wide Format Copiers, Used Ricoh Wide Format Copiers, Used Savin Wide Format Copiers, Used Xerox Wide Format Copiers. Welcome to WeBuyUsedCopiers.ca, a division of Town Business Center Incorporated, the leader in Buying and Selling quality Used Copiers in Canada and the United States. We specialize in getting you top dollar for your used copiers. We BUY all major brands of Used Canadian copiers like, (Ricoh, Canon, Sharp, Konica Minolta, and Kyocera, and to name a few), any quality and will handle all phases of the transaction quickly getting the copiers paid for and picked up at your facility FAST!